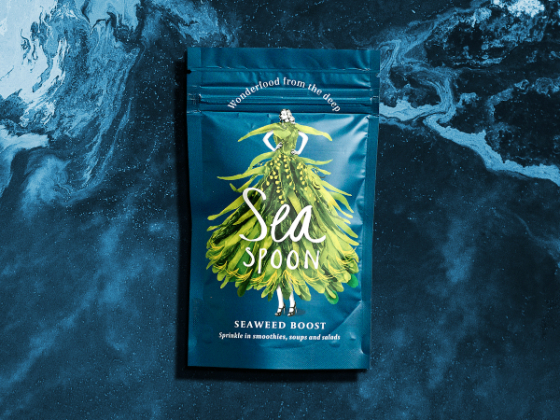 Seaweed – formerly overlooked beach fodder, now nutrient-rich health wonder! 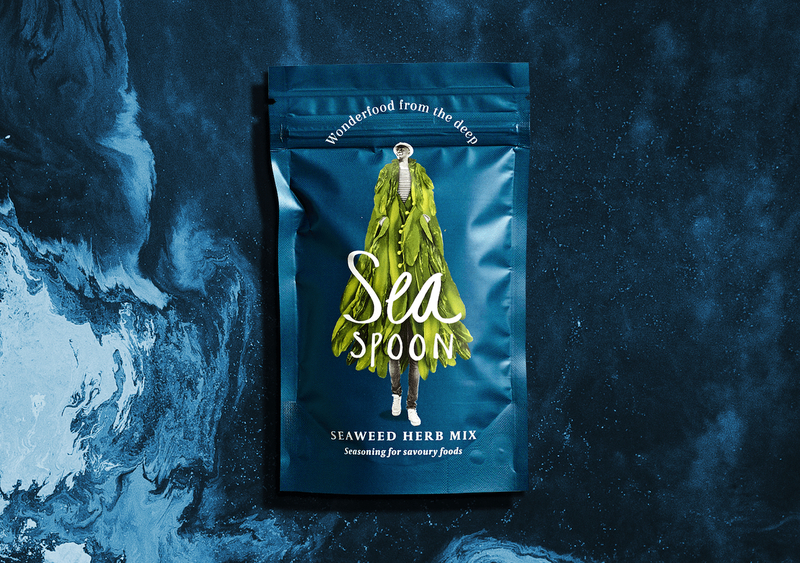 Tim & Kate challenged us to make a splash with their dried seaweed blends, rich in mystical health benefits. 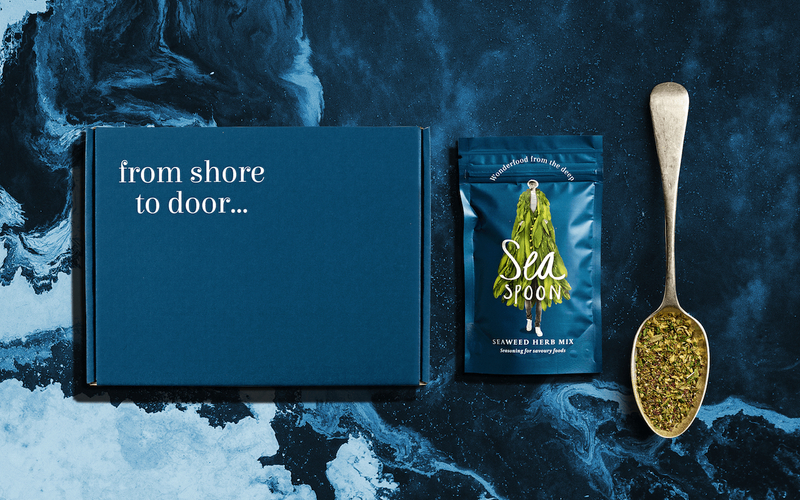 We were asked to create a distinctive logo, packaging and subscription box. 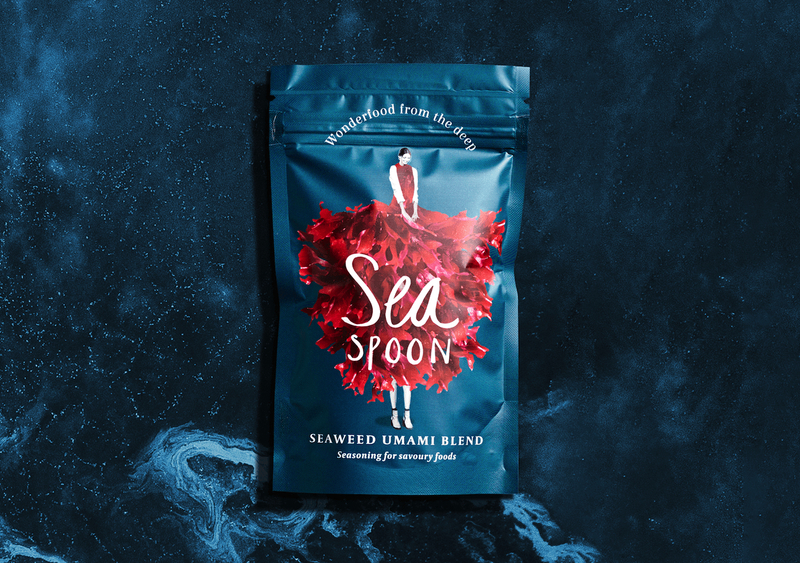 Although the sea conjures up romantic ocean imagery, we wanted to develop a less expected look that would both intrigue and make a statement. 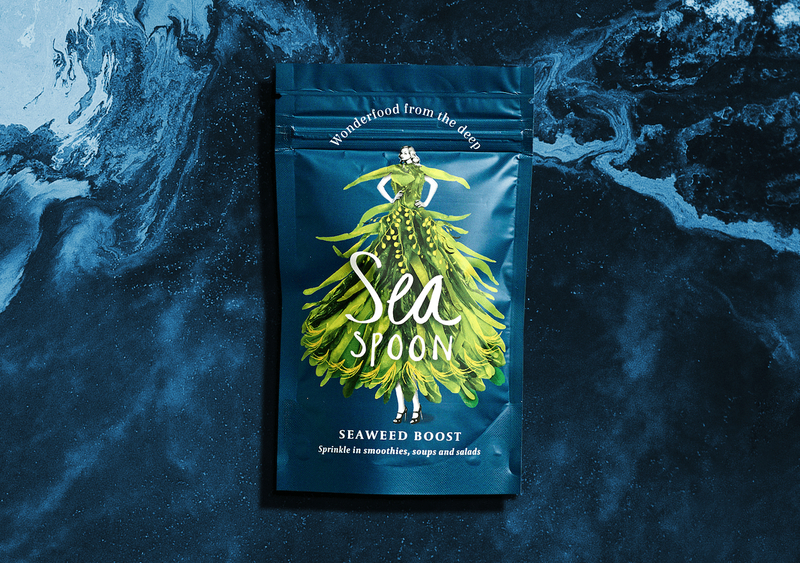 Based on the positioning of ‘goodness from within’, we created unique characters for each variant wearing fantasy outfits that were from the various seaweed types used in their magical mixes. Carefully fashioned together these flamboyant figures embodied the revitalising and extraordinary character of the brand. 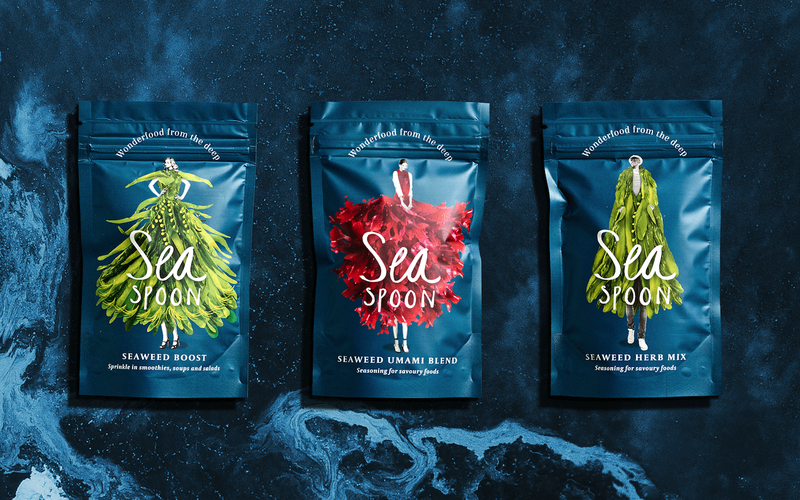 Our vibrant contemporary colours and a modern type-based logo appealed to our youthful foodie audience. 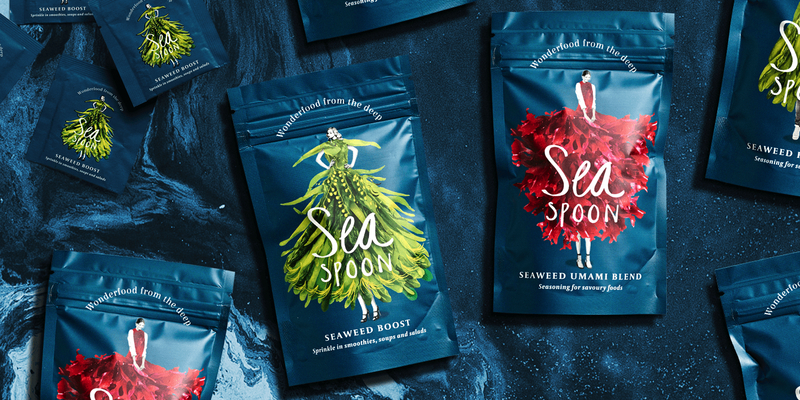 Previously thought of as dull and ugly, our hi-end seaweed couture showcases the bright playful colours of UK seaweed varieties. 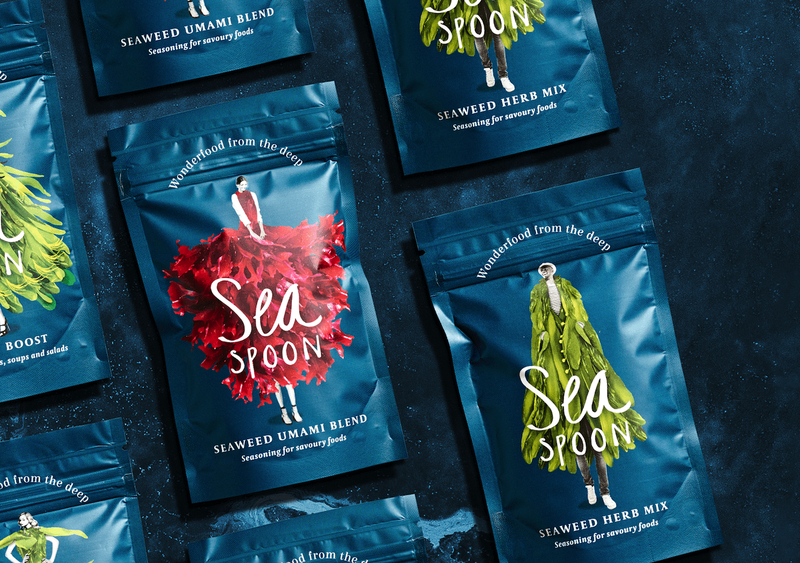 Our bold and iconic designs adorn both large pouches and small one-a-day sachets with drama, class and a touch of magic.